Truth in investing & STDs! There has been much writing in this sultry summer thus far, and it shows no signs of letting up. Thanks to my amazing clients who keep my fingers flying across the keyboard and happily pondering this incredible diversity of subjects. 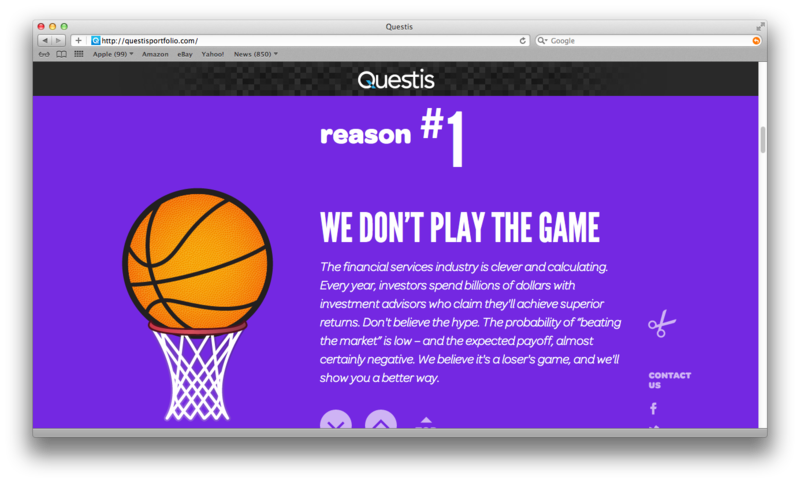 This is Questis, a team of financial advisors that are bucking the financial advisor stereotype by offering these novel ideas: truth, ease, and lower fees! Check out the super-fun teaser site that my friends at Little Highrise designed, and stay tuned as there’s much more to come. And friends, let me offer you this piece of advice. If Gil Shuler ever asks you to help him out on a project, say YES! I have long professed my love of Gil Shuler Graphic Design, and my love was recently elevated to a new level when Gil called to ask me to help out with some syphilis prevention posters. Yes, really. 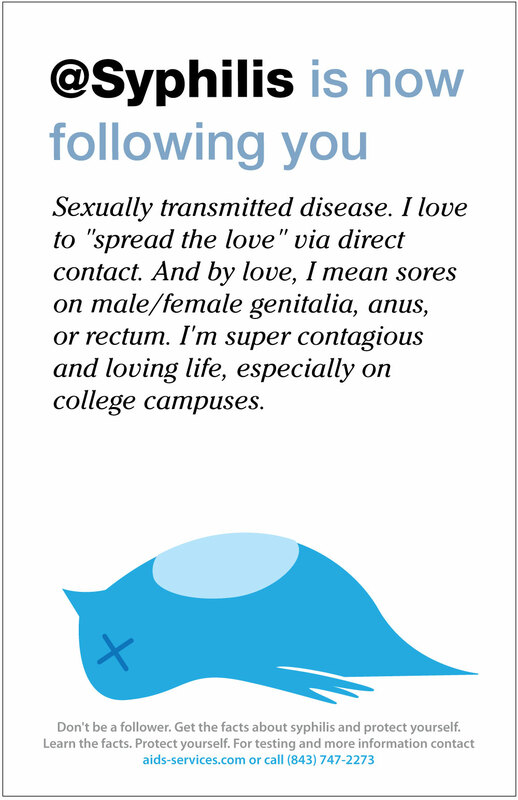 Turns out syphilis is running rampant on local Charleston campuses. (EGAD!) As usual, Gil came up with an amazing (and hilarious) concept, and I had the pleasure of writing some copy. 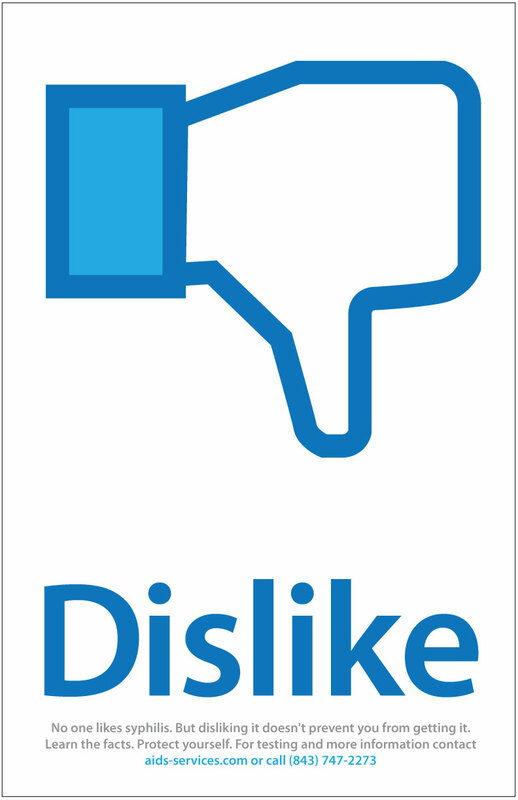 The kicker to this project? The email Gil sent with the two posters: subject line: syphilis. I will let you guess how interesting my email ads were for the next several weeks. Get the facts, y’all!